In the fifteen years I’ve known Alicia, she has died of old age, committed suicide over the death of her lover, and been killed and reincarnated, only to mourn along the Río Grande. We, her friends and fellow actors, are tired of watching her die. We’re tired of her weeping over her dead dog and stealing her sister’s fiancé, tired of her gliding across the stage in a black cloak and death mask. And so we’ve come together to write our own show, to transform the stories we’ve told over coffee and red wine—around kitchen tables or shouted on dance floors—into a collection of monologues, vignettes, and short plays exploring childhood, familia, loss, relationships, love, puberty, aging, grief, joy, and black liquid eyeliner. We are Hembras de Pluma, a collective of women artists. Pluma: feather, plume, quill, writer. This time Alicia tells her own story in “Glue,” a monologue about the conflicts, sacrifices and beauty that come with being “the glue” in one’s family and community. She’s also the Artistic Director of our creative endeavor. Eight amazing women—many of who are putting their stories on stage for the first time—join her. María Teresa Herrera reminisces about the challenges of pulling on pantyhose before mass. Sylvia Sarmiento takes us into childhood memories of her mother’s illness. Andrea Serrano remembers the women in her family through blush, base, and black liquid eyeliner. Bineshi Albert introduces a young girl who bakes cookies, reads books by the plum bushes, and referees the adults in her home. Monica Rodriguez channels Vera, her mother who keeps in very close touch with her daughter by calling throughout the day. Valli Rivera gives us Lola, a grand dame of 1940s radio, who’s fed up with changes at work and decides to take matters into her own hands. Michelle Estrada Allred lets us peek into the bathroom as an 80s teenager struggles to understand the instructions on a tampon box, all the while keeping her mom at bay on the other side of the door. And I remember the fire that destroyed my apartment, and the new life that sprung from the ashes. 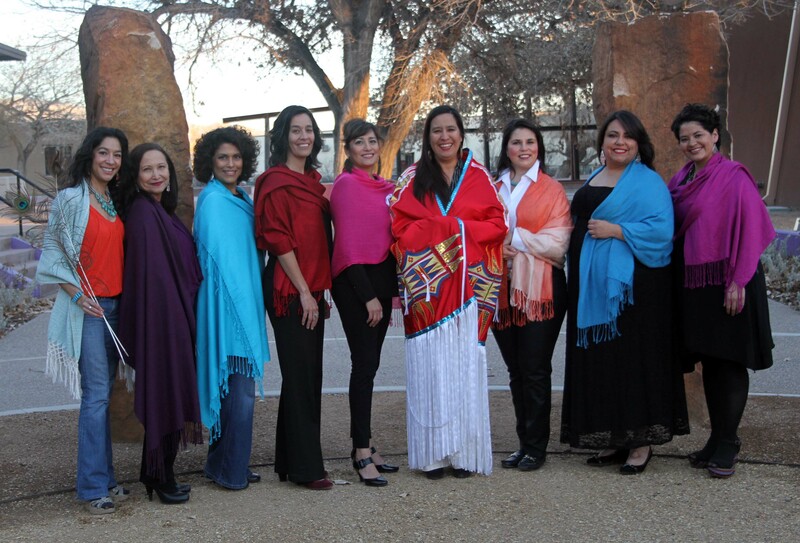 If you’re in Albuquerque you can see us on stage at National Hispanic Cultural Center during Women & Creativity, March 20 – 30, Thursday – Saturday at 7:30, Sunday at 2:00. For tickets, call 505-724-4771. You can also catch a sneak peek at Speak, Poet next Thursday, February 13, 6:30 PM at Copper Square (corner of 5th & Copper, downtown ‘Burque). If you’re not in Albuquerque—or even if you are and want to show us some extra love—please support our work and keep up with the show via our gofundme campaign. Your financial contribution enables us to build a set, purchase props and costumes, and pay our cast and crew. In the words of Vice President Joe Biden, “This is a big *#@%in’ deal.” Come to the show, support the campaign, spread the word. Mil gracias.